What Makes Alpaca Fiber Elite | Alpacas of Montana, Inc. | Born, Shorn and Worn in the U.S. In a world growing weary of synthetic materials and enthusiastically turning toward eco-friendly options, alpaca fiber offers an opportunity for consumers to wear warm, durable, soft, natural garments. From high in the Peruvian Andes comes one of the finest and most luxurious fibers in the world: Alpaca. 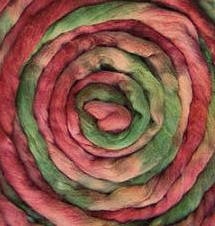 Once reserved for Inca royalty, the fleece is silky against the skin, velvety smooth to the touch. Alpaca is extremely lightweight yet warmer and stronger than wool. In addition, alpaca is hypoallergenic –often wearable for those allergic to wool. Cousins to the llama, alpaca’s thick, sumptuous coats grow naturally in over 22 shades – from ivory to black, with all the grays and browns in between. The differences within natural fiber types are not just in quality but other characteristics as well. Deemed as soft as cashmere and warmer than wool, alpaca clothing includes a combination of features not seen in any other natural product, including fineness, warmth, lightweight, softness and durability. As each fiber is hollow, it provides greater thermal insulation, wicking away moisture and trapping in heat within each fiber. The combination of these characteristics creates garments with unique thermal qualities and ideal protection in the summer as well as the winter. Alpaca offers warmth without bulk.